Critics said it was bound to happen, and, sure enough, it did. A company first sergeant began an affair with one of the first women to graduate from infantry basic training shortly after she reported to his newly integrated unit late last year. Both have been punished for it. Sgt. 1st Class Chase Usher, who had been serving as the top noncommissioned officer of B Company, 2nd Battalion, 505th Parachute Infantry Regiment, 3rd Brigade Combat Team, 82nd Airborne Division at Fort Bragg, North Carolina, has been removed from his position leading soldiers and is serving in a staff role, an 82nd Airborne spokesman told Army Times on Tuesday. The Army declined to disclose the recommendations of a 15-6 investigation into the affair, initiated in January, and would not specify the punishments Usher and the woman received. By all accounts, an investigation into the affair found, Usher was a high-speed infantryman and the relationship didn’t cause any questions of favoritism in the unit, though the rumors about the two caused a lot of doubt among the soldiers he was meant to lead. Army Times obtained a redacted copy of the investigation via a Freedom of Information Act request. Usher did not respond to multiple requests for comment through email and Facebook. Junior enlisted women first reported to the 82nd’s infantry units in late summer 2017, the final step in a “Leaders First” plan the Army rolled out as the Defense Department lifted the last restrictions on women serving in direct-combat jobs in early 2016. First came the officers ― including Capts. Shaye Haver and Kristen Griest, the first two women to complete the Army’s storied Ranger school ― and then the NCOs. By early 2017, female recruits had checked in at Fort Benning, Georgia’s infantry and armor one-station unit training. 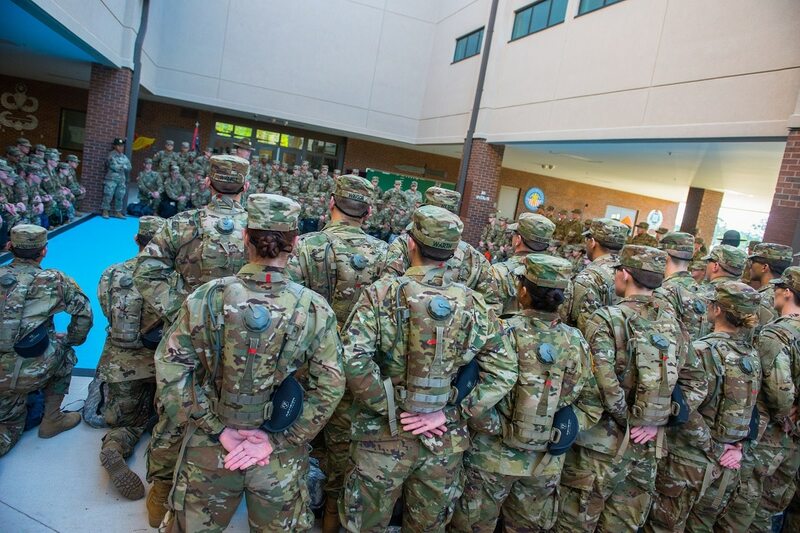 Following their graduation in May, that first group of 18 enlisted women headed either to the 1st Cavalry Division at Fort Hood, Texas, or after finishing jump school at Fort Benning, to the 82nd. The woman in question got there in August, according to the report. Dozens of soldiers in the company were aware of her September-October relationship with Usher, either because he had talked about it, they’d seen the two in public together or they’d heard through the rumor mill. The “friends with benefits” situation was over before the new year, but in January, a representative from the website U.S. Army W.T.F.! Moments reached out to 82nd’s leadership with a photo of the two canoodling outside Paddy’s Irish pub in Fayetteville, according to the investigation. The photo had already made the battalion rounds, thanks to a group text message. Witnesses included three women, who all agreed that Usher treated them as equals in the company. “In a work environment he treats both fairly from what I can tell,” one soldier said in a statement. Usher had personally led the training to prepare the unit to bring in women, and further, he had recommended three of his female soldiers for the Small Unit Ranger Tactics course, a common precursor to Ranger school. The investigator found graphic details of his relationship with the private, as well as the rest of his personal life. “He told me about a woman he got pregnant on Tinder and paid her to go away,” one soldier said. A female platoon sergeant said Usher told a group of her colleagues that he was going to be Thor for Halloween, but wouldn’t need to carry a hammer ― because he already had a comparable tool in his pants, according to the investigation. “At multiple safety briefs, [redacted] encourages the company to ‘get [laid]’ or comments that he will be doing so over the weekend; after a company run or before a company rehearsal he has bragged about ‘getting some’ that morning," a soldier said. Overall, the investigator found that while Usher did not specifically harass junior enlisted personnel, and his relationship with the private was consensual, the rumors about their relationship had a “corrosive” effect on the unit, because of a perception that she was his favorite. Usher denied the relationship, as well as any past incidents of inappropriate behavior, in his sworn statement. Though the 82nd Airborne declined to provide details of the punishments handed down, Usher is no longer in a position of authority over a unit. His future in the Army is unclear, though a substantiated misconduct investigation could prevent him from re-enlisting. Women continue to join front-line combat units, as positions opened up in the 101st Airborne Division, 4th Infantry Division, 1st Armored Division and 173rd Airborne Brigade Combat Team in 2018. 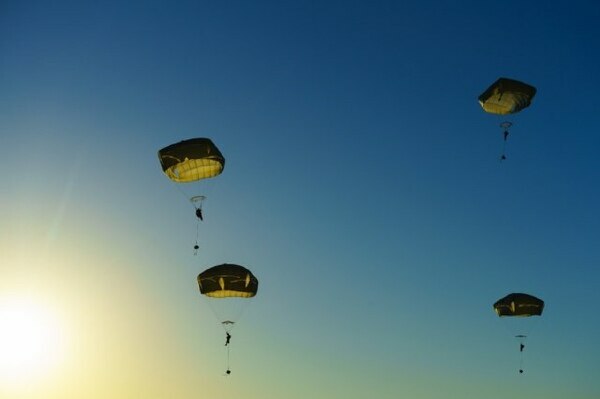 “This behavior does not exemplify the dedicated professionals of the 82nd Airborne Division," Osorio said, adding that the division is committed to fostering trust and respect as the Army works through gender integration.